Please contact reception if you wish to book an appointment. 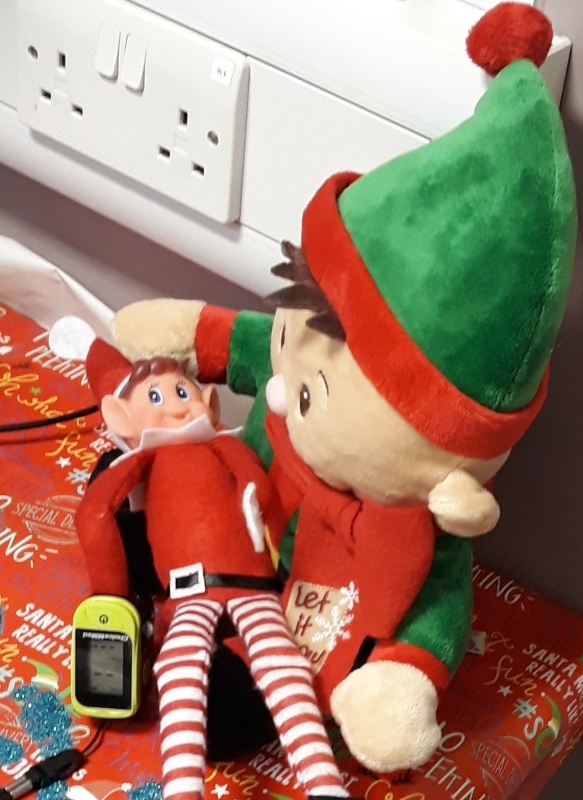 We had some elves visit the practice before Christmas and they had flu jabs, oxygen sats checked and even brought in some samples for the clinical staff to check. Safe to say they were all okay and ready to help Santa on the big Night. Some of you will have been coming to the practice for many years and may have seen the same staff member for the same thing regularly. Due to staffing changes and training you may see now need to see different staff for different issues. Nurse Karen McCabe has passed her Nurse Practitioner and prescriber training and will be seeing some patients for Minor illness conditions rather than having to see a GP. Karen will also continue to focus on treatment and support for patients with long term conditions including Asthma, Diabetes and COPD to name a few. Karen also runs a wart clinic once a month. Nurse Barbara Goonesinghe will continue to support patients with Child immunisation clinics and general nursing duties including long term conditions, dressings and more. Nurse Vicky Wilson was our Healthcare assistant but has recently passed her return to Nursing Course and is currently a clinic nurse, working towards becoming a Practice Nurse. Vicky will be looking at dressings, INR monitoring, immunisations such as Flu, Pneumo and B12. Vicky will continue to assist Dr Kershaw during Minor Surgery clinics once a month. GP Assistant Sandra Adams, is one of our former receptionists. Sandra trained as a phlebotomist during her reception days and now supports GP's with admin duties including review of letters received and some lab reports as well as running her own clinics. Sandra's clinics include INR monitoring, immunisations such as Flu, Pneumo and B12 and also regular monitoring of patients on DMARD medications. We will not generally give you a prescription for over the counter medicines for a range of minor health concerns. We will be open as normal during the festive period except for the bank holidays. Opening hours 8am - 6.30pm. We will be closed on Christmas day, Boxing day and New Years day. Please ensure you allow up to 48 hrs for any prescriptions that need to be issued to cover this period. Thank you and best wishes. Did you know you can now book to see a GP in the evening, at weekends and on bank holidays? Patients registered with a GP in Wirral can access appointments at various locations during the following times: See attached flyer for further details. Mon-Friday 6.30pm - 8.00pm or Weekends 8.00am - 8.00pm. To book an appointment, ask our reception team or call 0151 652 6077 (between 10am & 6pm) at weekends. Please note this may not be a GP from your own practice and you may have to travel to other GP practices to attend an appointment. ***This information is temporary and will be added to its own menu on the website shortly.